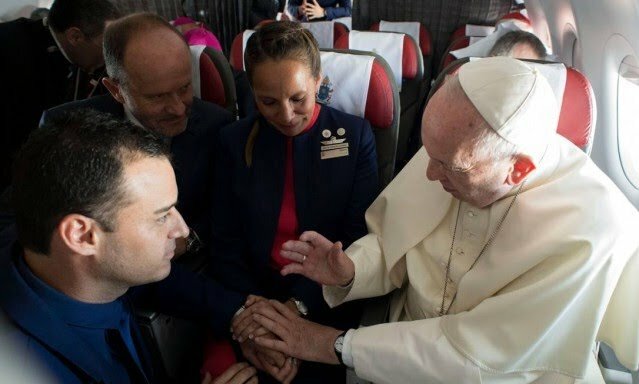 Estou de férias, quando vi as manchetes nos jornais sobre um casamento feito pelo Papa Francisco em um avião indo para o Chile, não dei muita atenção. 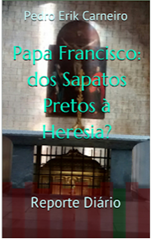 Mas logo veio a notícia que foi o Papa que sugeriu o casamento ao casal. Não havia nada combinado no Vaticano. Daí tudo ficou estranhíssimo e não católico. Que doideira. Alguém pode achar isso lindo e romântico, mas não esse o Papa que disse que metade dos casamentos são nulos porque não se segue os rituais????? A conclusão mais óbvia é que o Papa Francisco gosta muito de aparecer para imprensa e mídia como descolado e bonzinho. E assim como disse o site Fratres in Unum este não é um Papa que se deva levar a sério, nem o que escreve, nem o que diz. 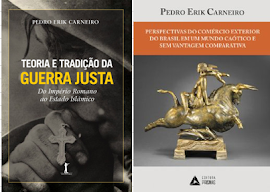 O renomado especialista em direito canônico, Edward Peters, não é fã da lei canônica para casamento na Igreja, mudaria muita coisa. Mas considerou a história do casamento no avião uma aberração e que não cabe em nenhuma lei canônica que ele sugerisse para o casamento católico. E sugere que o casal não está casado depois do ato errático do Papa. Vejamos o comentário do Dr. Edward Peters sobre esse casamento. Show of hands! Who wants to rain all over the sentimental paradelining up behind (what is being presented as) the pope’s facilitation of married love? Anyone? Anyone? But officiating at a wedding means something specific: it means asking for and receiving the consent of the contracting parties to marrying each each other (c. 1108) here and now. Per the Rite of Matrimony consent is sought from each party individually and must be oriented to marrying the other party at this time; the request is not posed as a joint question to the couple about beingmarried, akin to, ‘do you two want to be married?’, but rather is framed ‘doyou marry him/her?’ at this point in time. If consent (the heart of marriage per c. 1057) is not adequately asked for and received, it is not exchanged, and such a couple would not be married (and, No, ‘Ecclesia supplet’ cannot make up for a failure in what is actually sacramental—as opposed to canonical—form). The above reports mention, as far as I can see, only the pope’s broaching the topic of marriage by asking the couple whether they wanted to be married, placing their hands together, saying a few inspirational words about marriage, and pronouncing them husband and wife. But such a sequence describes, not at all, apresent exchange of consent by the parties. Let us hope, then, that in the actual event considerably more was said than has been reported. Second, canonical form demands two independent actual witnesses to the exchange of consent, meaning that five persons must be immediately present for the wedding—not folks who heard about it a few minutes later, or who saw something happening and wondered, hey, what’s going on back there?—but five persons actingtogether and at the same time: a bride, a groom, an officiant, and two other actual witnesses. While reports are unclear as to how many people actually witnessed this event, and while this photo shows four people in the event (plus a camera man?) and four signatures on a document, another photo shows five names on the marriage document, so one may presume (c. 1541) accordingly. Third, several canons impacting theliceity of weddings (norms on ‘liceity’ often being regarded as wink-wink rules in Church life, especially when higher-ups model the wink-winking) were apparently ignored here, including: the requirement for serious pastoral preparation prior to a wedding (c. 1063), administration of Confirmation before Matrimony (c. 1065), urging of Penance and holy Communion before a wedding (c. 1065), verification that no obstacles to validity or liceity are in place (c. 1066), securing evidence of the contractants’ freedom to marry (c. 1068) upon pain of acting illicitly without it (c. 1114), an expectation that Catholic weddings be celebrated in a parish church (cc. 1115, 1118), and making use of the Church’s treasury of liturgical books for celebration of the sacramental rite (c. 1119). 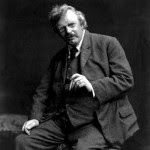 As this story reverberates ‘round the world, now, deacons, priests, and bishops who try to uphold Church norms fostering values such as deliberate marriage preparation, an ecclesial context for a Catholic wedding, and the use of established and reliable texts for expressing consent will, undoubtedly, have the Podest-Ciuffardi wedding tossed in their face as evidence that, if Pope Francis does not insist on such legalistic silliness and only cares about whether two people love one another, why shouldn’t they do likewise? The ministry of conscientious clergy in this regard just got harder. As mentioned above, I would be happy to see the requirement of canonical form for marriage eliminated, this, for several reasons, one of which is that—long story omitted—we could actually makehigher demands of Catholics who want to marry before our clergy than we can currently demand. But the pope’s example of a spontaneous, zero-preparation, wedding is not at all what I and like-minded others have in mind. This couple undoubtedly gave more thought and attention to what they did by civilly marrying before a magistrate back in 2010 than they could have possibly given to what the pope suggested to them, on a few seconds’ notice, while at work, high above the Andes mountains. The pope has opined, apparentlymore than once, that “half of all sacramental marriages are null”. Here’s hoping that Podest and Ciuffardi beat those odds. E noção de deveres como pais, pela educação católica de filhos?